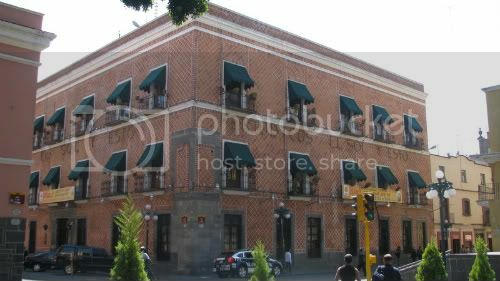 When we were in Puebla for Dia de los Muertos we couldn't help but notice how lucky Puebla newspaper reporters are to work in this beautiful historic building. I've worked in some crummy newspaper buildings and some cool ones, and this by far is the nicest I've seen. Check out the individual balconies in each office window. These open up to views of colonial cathedrals, the gardens of the main plaza, cobblestone streets, age-old water fountains...you get the picture.